Could Michigan Wear Nike Again? Fresh off of bringing Jim Harbaugh on board to coach the men&apos;s football program, the University of Michigan could be gearing up for another huge change. Word has it that the school could be leaving its current sponsor, adidas, for Nike, which Michigan previously parted ways with in 2007. According to CBS Detroit, Michigan representatives recently visited Nike&apos;s campus where they were actively "recruited" by the brand. And if the picture above from Teddy Blanks is any indication, it looks like Nike is putting in a serious effort to win the school back. 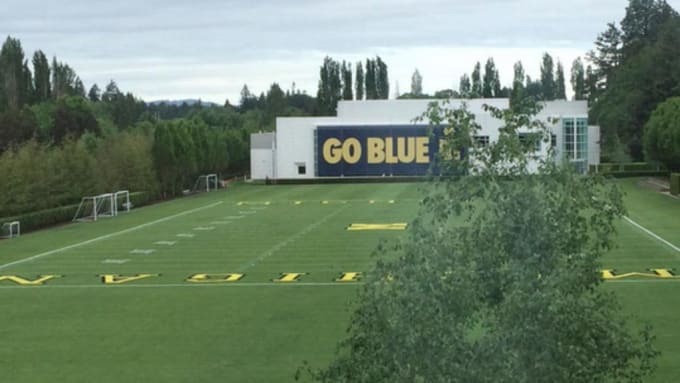 Nike&apos;s HQ, according to Blanks, was "Well decorated for UM officials today," as the campus featured a massive banner that read, "Go Blue. Those who stay will be champions." There was also a mini-version of Michigan&apos;s football field on Nike&apos;s lawn. 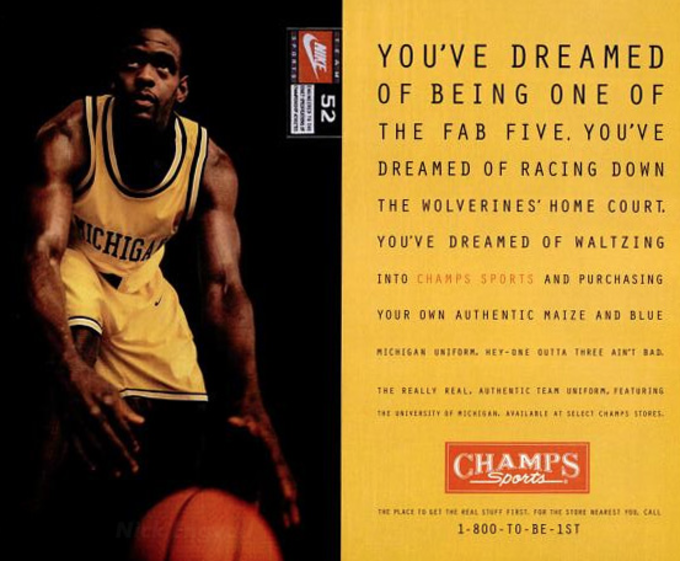 Adidas&apos; contract with Michigan runs out in 2016, and the school&apos;s run with Nike and the Fab Five still reverberates to this day. Fans of blue and yellow Swooshes currently have their fingers crossed.